Countless birds suffer from captivity and abuse. 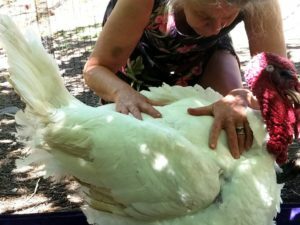 Our Aves Sagradas (Sacred Birds) project restores dignity and freedom to Parrots, Turkeys, Chickens and other Birds in need. 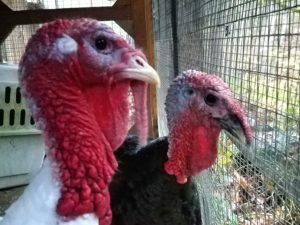 Captivity imposes severe stress on birds who are flighted and group oriented. Breeding in the “pet” Parrot and Poultry industries undermines psychological and physical well being. Our Tortoise and the Hare Sanctuary is home to Louis and Alexis, rescued from the backyard food industry, and Walter Piper Pigeon, an injured domesticated Pigeon rescued locally in Oregon. 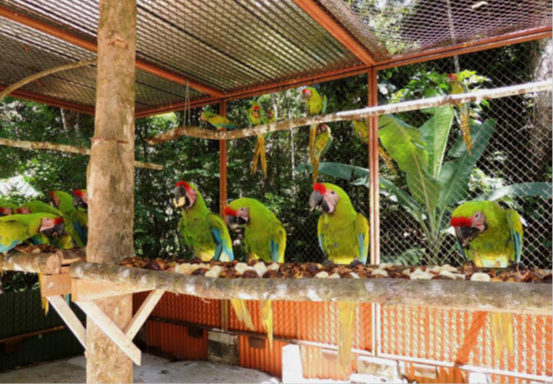 With contributions from Ms. Stephanie Fein and The Summerlee Foundation, Aves Sagradas secured funds for the construction of a Great Green Macaw transition aviary and artificial nests in Costa Rica.